A mob broke out on the mountain today, with at least 10 different species of birds taking shelter from the ice and snow on my front porch. They chirped and chattered at one another, but it appeared that everyone had a turn grabbing a seed or nut. I even had to refill midday due to all of the action. 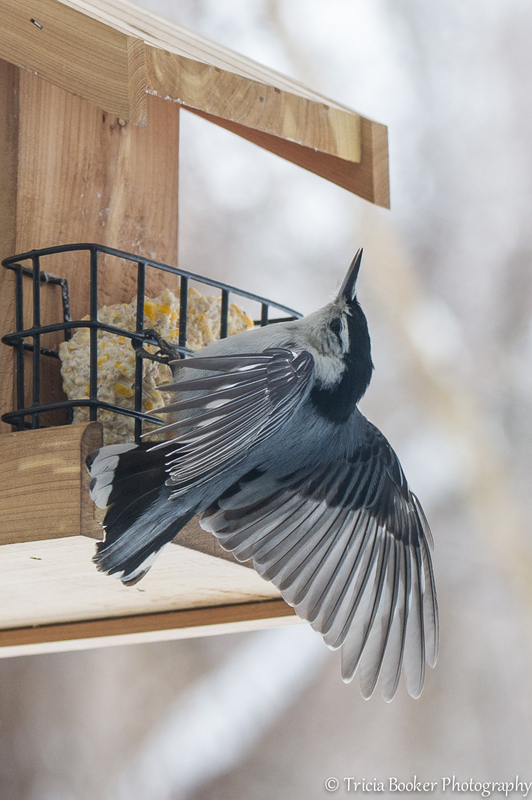 The alphas on the feeders were certainly the Cardinals, but the Nuthatches and woodpeckers (Hairy, Downy and Red-Bellied) took command when they snagged a place at the suet. 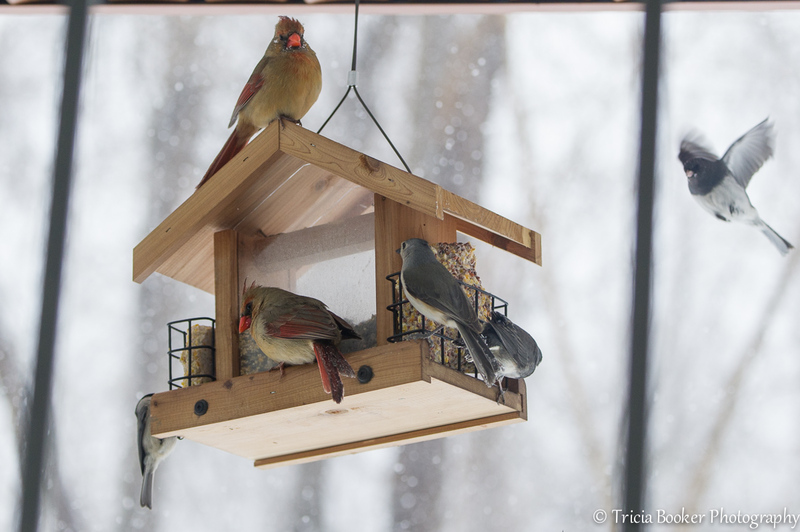 The Sparrows, Dark-Eyed Juncos, Titmice and Chickadees are quick and agile, flitting to an opening for a quick grab and escape. My favorite little Carolina Wrens are tough and small, and they will fight for their places among the woodpeckers. 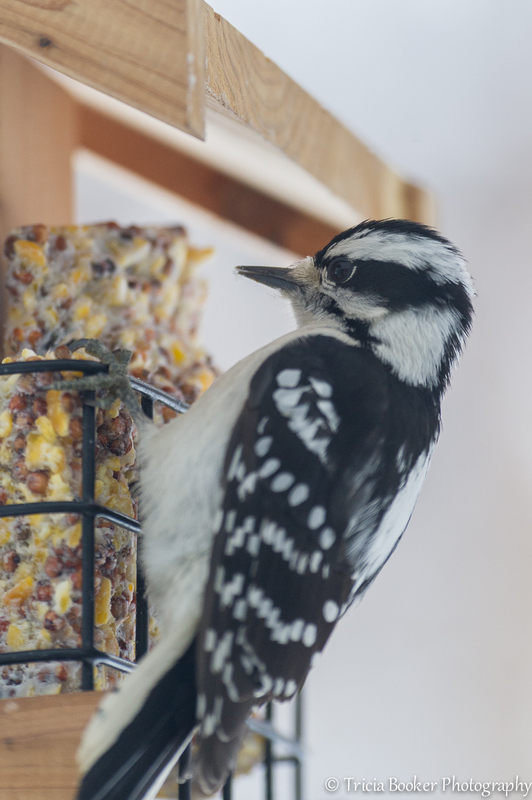 They seem to prefer the suet and don’t give up easily. 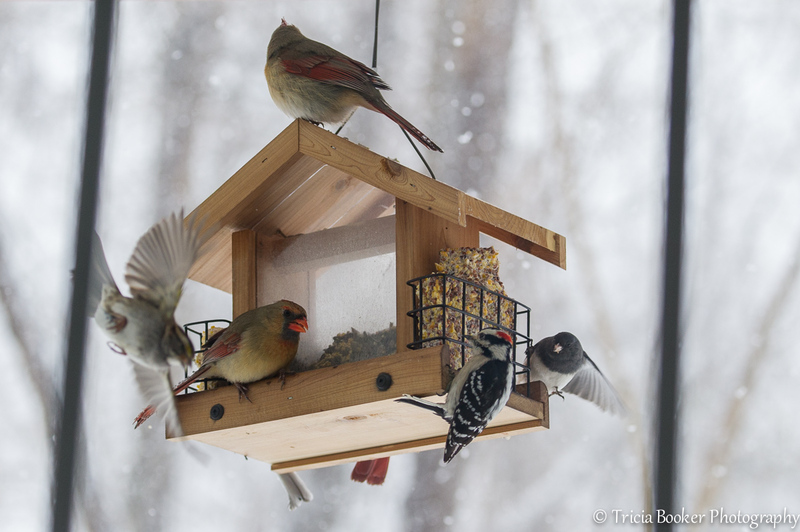 I’m glad that I was able to provide food and shelter for the birds during this latest storm, and they certainly provided me with lots of entertainment on yet another snowy Virginia day. Thank you Fillandra! I agree that watching them feeding and content is very satisfying! Yes, I have the same groupings plus morning doves, hairy woodpeckers, red-bellied woodpeckers, pairs of bluebirds, and others. Nicely captured and the image of the nuthatch is clearly a delight. We had the same storm. At least we cannot complain about a water shortage. Stay warm. Thank you, Sally! The sun is out today and the birds seem happier, but it’s still cold. New visitors to add to the blog today, too.